In a lot of Bill Murray’s roles, his character flirts with myths and legends. From Groundhog Day to Ghostbusters, Scrooged to The Life Aquatic, there is always something other worldly going on. This may be because his almost surreal style of comedy attracts these kinds of oddball characters and off-kilter films, he is a magnet for the quirky roles he is known for. On the other hand, it could be that Murray himself is attracted to these roles, where comedy is used to cover up the fact that the characters he plays are outcasts, often lonely, individual figures who struggle to connect with other people. Take Caddyshack, for example, a film which cemented Murray as a comedian to be reckoned with, but in which he rarely appears with another human, instead spending most of the film chasing an animatronic gopher around a golf course. Or Ghostbusters, where Murray and his fellow ‘busters chase down paranormal entities. Murray’s sardonic Peter Venkman, while undoubtedly an integral part of the crew, is also the most removed, the most self-aware and therefore most detached from the film’s strange reality. 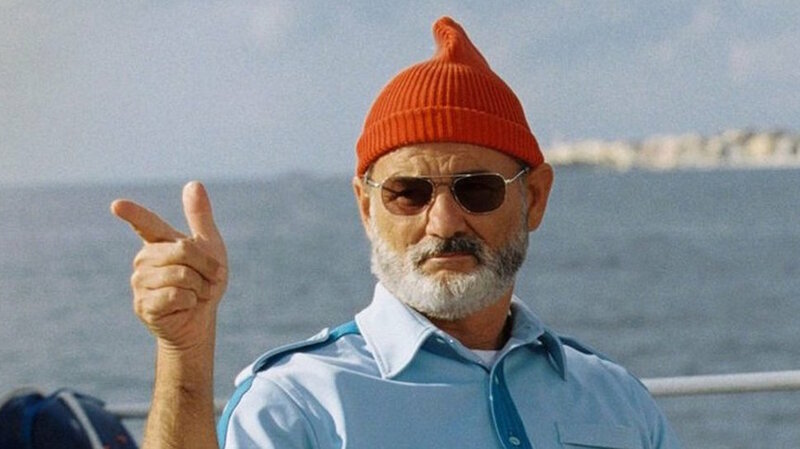 Years later, Murray would star as Steve Zissou in The Life Aquatic where, again, his focus of the film is to capture an almost-mythical creature while simultaneously ruining and rebuilding relationships with the people around him. Much like the elusive tiger shark he chases in The Life Aquatic, getting a glimpse of Bill Murray in his natural habitat is a rare but always fascinating occurrence. Then again, what is his natural habitat? Though we know and love him for his absurd and brilliant comedic style, his most biographical role is arguably in Lost in Translation, as an actor alone in a strange world full of people who love and admire him, but without really knowing him or get close to him. In fact, many of his characters are people seemingly out of touch with the world around them. From Steve Zissou, mourning the loss of his best friend through a family of misfits, to Frank Cross in Scrooged, a man who has lost any trace of human kindness, to Phil Connors in Groundhog Day, who is forced to live the same day over and over until he realises the error of his ways and ultimately redeems himself. While these characters might be out of touch with their surroundings through no choice of their own, Bill Murray has built up a reputation of being difficult to contact, elusive and as mysterious in real life as he is in his films. Ask anyone who’s ever tried to contact him, be it for an interview, a film role or just a chat, and you’ll undoubtedly hear a story of 1-800 numbers, answering machines, distant PO boxes and general obfuscation. On the other hand, those who have happened to bump into Murray on the street will tell of him, almost always alone, doing something totally unexpected and only something the man himself could get away with. So, in celebration of a true comedic legend’s birthday, here’s a look at just a few of the strange-but-true stories of William James Murray. South by Southwest is mainly known for being a music festival. A riotous few days spread out across the city of Austin, Texas, it features everything from punk bands playing unofficial shows out on pavements, up and coming artists in pop-up venues and well-established acts on outdoor stages. What is perhaps less well-known, however, is that before all the bands swarm into the city, SXSW is also a film festival. Actors and directors will premiere their movies and, probably, stick around for the week-long party afterwards, so it’s not unusual to see a film star inconspicuously wandering around among the music fans. 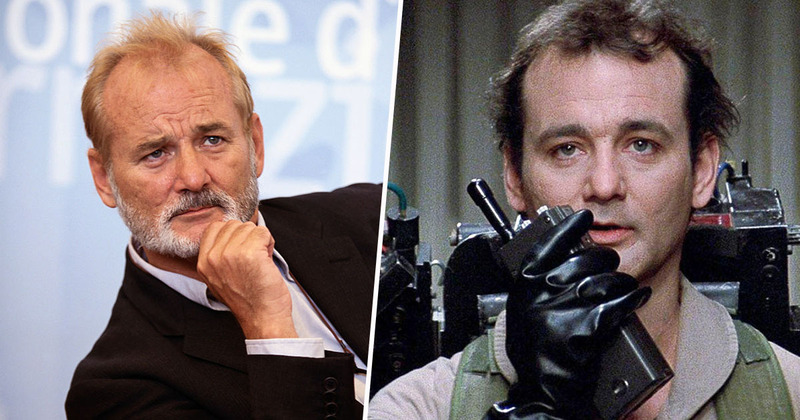 In 2010, Bill Murray was that film star. Reportedly hanging out with his pals GZA and RZA from Wu-Tang Clan, with whom he’d starred in 2003’s Coffee and Cigarettes, Bill was wandering around the east side of Austin when he was drawn towards Shangri-La, a dive bar that had been open for a year. 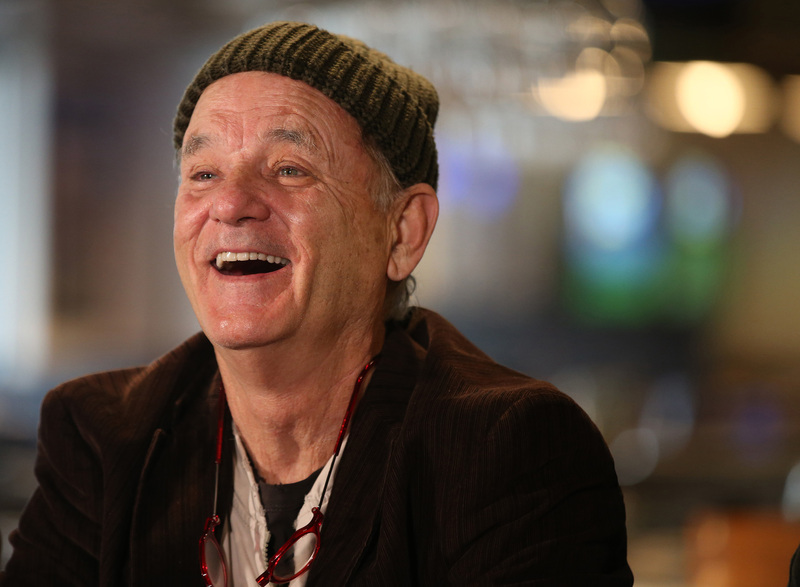 As Gavin Edwards describes in his book The Tao of Bill Murray, the actor had a couple of drinks and got talking to an off-duty bartender called Trevor Rathbone. They chatted for a while, but before too long Bill was getting mobbed by enthusiastic fans and made an exit to watch some music. Tyler dropped what he was doing and ran downstairs to witness one of the world’s greatest comedic actors serving drinks at his bar. All of a sudden, Bill Murray’s standing next to me behind my bar. I found myself bartending with a Ghostbuster. It was pretty flipping sweet. A Ghostbuster he may be. However, a bartender he is not. When a customer would lean in and tell Bill their drink order, he would listen, nod and simply grab the nearest bottle of tequila and poor them a shot. And if people tried to pay, he would just give the money to the nearest bartender and move on. Bill Murray’s obviously not going to open the drawer and give you change! Why are you even trying to pay him? I randomly caught Bill Murray pouring shots of tequila and whiskey for a bunch of excited hipsters (like us) at Shangri’la in Austin. He then went and chilled with GZA in the corner while we all whipped out our iphones to tweet about it. I think he had fun, or else he wouldn’t have been doing it for fully thirty minutes, and he wouldn’t have been pouring shots of booze into some kid’s mouth! Bill stopped, looked back at Tyler and said: ‘Tell your dad I said hello,’ before walking away. Around 2005, a man named Joseph Davenport was having a cigarette on the street outside a bar in Charleston, South Carolina. A man approached him, took the cigarette out of Joseph’s mouth and had a long drag. Returning the cigarette, the man said ‘No one will ever believe you’. That man was Bill Murray. There are many urban legends like this. Some say Bill would put his hands over an unsuspecting person’s eyes and say ‘Guess who’. Others say he has wandered over while they ate and grabbed a handful of chips off their plate. Whatever the tale, it always ends the same way, with Bill simply saying ‘No one will ever believe you’. Ted Melfi had written the script for his film St Vincent, in which he wanted Bill Murray to play a grumpy old man, a Vietnam veteran at odds with others around him, who forges an unlikely friendship with the young boy next door. When Melfi told his producer, Fred Roos, he wanted Bill for the part, Roos replied ‘Good luck’. Roos had produced Lost In Translation, and added: ‘To tell you the truth, Sofia [Coppola, director] and I didn’t know he was going to come to Japan to do the movie until he showed up on the plane.’ It’s not that Bill is hostile, the opposite if anything, he’s just hard to contact. In fact, the main way for people wanting to work with him is through a 1-800 number, where you can leave a message in the hope he might hear it, let alone respond. But Melfi was persistent, he left over a dozen messages without knowing if Bill was even receiving them. Eventually, Melfi was given a PO box address to send a script to. Then another PO box address. Weeks went by without hearing anything, when one day, driving through Los Angeles, Melfi got a call from the man himself. Still, they struggled to arrange a meeting – Bill was in New York and about to fly to Cannes for the film festival, and wanted Melfi to come – but eventually, three weeks after the phone call, Melfi got a text from Bill: meet me at LAX in an hour. They met, and Bill drove them to his house in Southern California where they talked about the film for hours. Can you tell someone other than me that this happened? Because I’m not sure they’re going to believe you’re doing the movie if you don’t tell them. Two weeks later, Bill called his attorney to confirm he would be in St Vincent. Bill is by far the free-est person I’ve ever met in my life. He lives in the moment more than anyone I’ve ever known. His whole life is in the moment. Bill doesn’t care about what happened; he doesn’t think about what’s going to happen. He doesn’t even book travel two ways. Bill buys one-way tickets and then decides when he wants to go home. Then he’ll call and say ‘Hey, I think I should go home,’ and we’ll figure out how to get him home. There’s no bullsh*t, no manipulation – it’s so honest and so pure to have someone like that around. What you see is what you get: he throws people in the pool in private and he throws people in the pool in public. I think we could all learn something from the great man.